INDIANAPOLIS – Talk about your All-American boy. 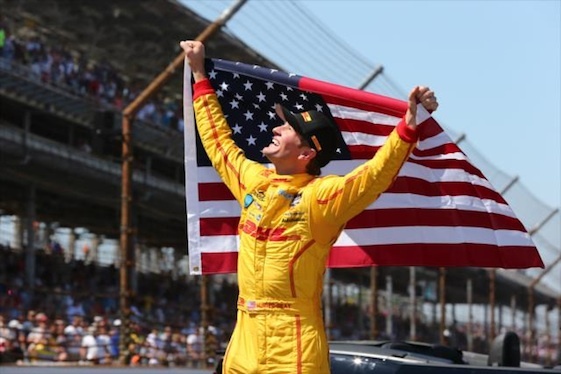 Ryan Hunter-Reay lived his dream Sunday, holding off a determined Helio Castroneves in a six-lap sprint to the finish to win the 98th running of the Indianapolis 500. In doing so, the 2012 IndyCar series champion became the first American driver to take the checkered flag in the Greatest Spectacle in Racing since Sam Hornish Jr. in 2006. In his excitement after winning the biggest event in open-wheel racing, it was apparent that being a homegrown guy winning America’s premier race had been on his mind for a while. “It’s a dream come true,’’ the Florida native said. “I’m a proud American boy. Castroneves, trying hard to join A.J. Foyt, Rick Mears and Al Unser as four-time Indy winners, did everything he could to outduel Hunter-Reay in a duel of yellow IndyCars. There were only two official lead changes in the last six laps, with the scoring done at the finish line, with Castroneves moving to the front on lap 196 and Hunter-Reay squeezing past and almost running through the grass on lap 197. But Castroneves briefly took the unofficial lead two laps from the end before Hunter-Reay fought back in front as the last lap began. Michael Andretti, who got his third victory as an owner and saw four of his five Andretti Autosports entries finish in the top six on Sunday, said the pass by Castroneves on lap 199 almost sealed Hunter-Reay’s fate. 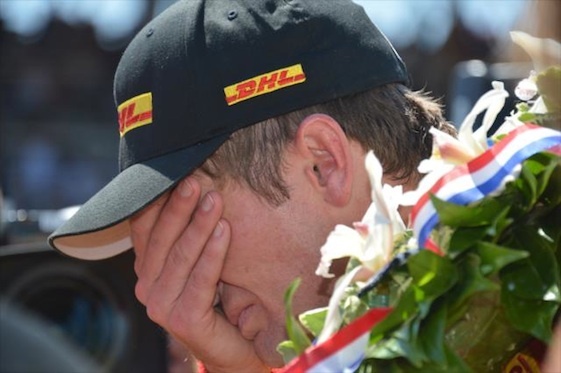 Emotion was the only thing that caught up with Ryan Hunter-Reay at Indy. Reay) would have to get out of (the throttle), but he was able to stay on it and fight back. Castroneves, who had been warned earlier by officials for blocking, tried to make his car as wide as possible as the leaders headed for the white flag, denoting the start of the final lap. But, as they raced toward the first turn of the last trip around the famed 2 ½-mile Brickyard oval, Hunter-Reay again squeezed past. This time, he stayed out front, holding off Castroneves by 0.60-seconds. That is the closest 1-2 finish since Al Unser Jr. beat Scott Goodyear by 0.43-seconds in 1992. “Both of us used every bit of the track out there,’’ Castroneves said. “There is stupid and bravery and I think that both of us were right there. IndyCar and the open-wheel series that have preceded it over the past 20 years have been criticized for being dominated by foreign drivers. And even Castroneves said he was happy that an American finally won the big race again. Carlos Munoz, last year’s runner-up to Tony Kanaan and another Andretti driver, was fourth, with Juan Pablo Montoya, Castroneves teammate, fifth in his first open-wheel race since winning here in 2000. 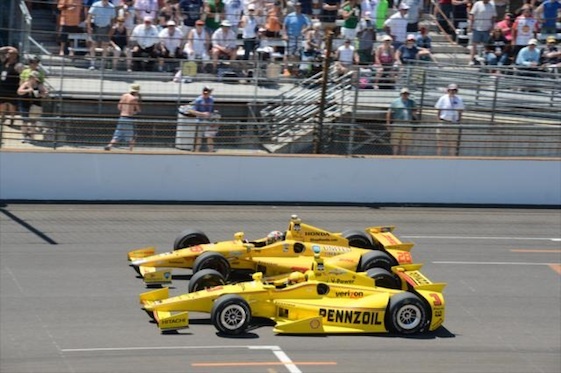 Ryan Hunter-Reay and Helio Castroneves, bottom, went wheel-to-wheel in the late going at Indy. Andretti driver. The former Sprint Cup champion quickly bolted the speedway by helicopter, heading for Charlotte, where he was scheduled to race in Sunday night’s Coca-Cola 600. The first three-quarters of the race were run in unprecedented fashion with the first caution flag flying lap 150 when Charlie Kimball crashed. By the end, there were five cautions, the last of which came with 10 laps to go when Townsend Bell hit the wall hard. With more than 200,000 people in the stands and a huge television audience hoping to see a competitive finish after such an exciting buildup, IndyCar officials chose to red flag the race to allow crews to clean the track and repair the damage SAFER barrier. “It spoiled the rhythm, but it was the right decision,’’ Castroneves said. The first half of the race belonged to a variety of drivers who spent chunks of laps out front. Montoya, back in IndyCar after parting ways with his Chip Ganassi-owned Sprint Cup team after the 2013 season, looked to be in prime position to get his second Indy 500 win at the mid-point of the race. Running first and generating good fuel mileage, he made a big mistake by getting a speeding penalty. His snafu came just a couple of laps after his Team Penske teammate, Power, also was hit with a speeding penalty. With all that going on, Andretti, hoping to end the so-called “Andretti Curse’’ at the speedway by becoming the first member of his family to drive to a win here since his grandfather Mario in 1969, moved into the lead. As most of the drivers pitted under the first yellow of the race, pole-winner Ed Carpenter, who had pitted just eight laps earlier, retook the lead. Also benefiting were Montoya and Power who used the caution to restart 12th and 13th respectively. Ryan Hunter-Reay got to plant a big one on the bricks at Indy. 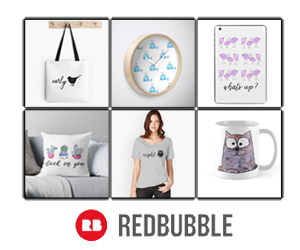 reclaim the top spot. The leap-frogging for the lead continued as Hunter-Reay came right back. On lap 163, Carpenter came back to lead again. Hunter-Reay then held the lead until a yellow came out for defending series champion Scott Dixon, who spun and slammed the wall hard in Turn 4. As a result, the field pitted and were able to take on enough fuel to finish the race, which would restart with 25 laps to go. The race was up for grabs at that point, with Hunter-Reay and Carpenter restarting first and second, followed by Bell, James Hinchcliffe, Castroneves and Andretti. On the restart, Hinchcliffe and Carpenter crashed when they were pushed down low by Bell, who tried to go around the outside and make it three wide going into Turn 1. Bell made it through the wreck and kept racing. Carpenter blamed Hinchcliffe for going low and making it three wide. Asked what he said to Hinchcliffe as they rode to the infield car center together, Carpenter said he said it was lucky that Hinchcliffe already had a concussion that he suffered in a wreck last week. But, he also said that Bell should not have been three wide as far up on the track as he was. “One hundred percent not Ed’s fault,” Hinchcliffe said. On the restart, with 20 laps to go, RHR got a big jump. Behind him coming out of Turn 2 were Andretti, Bell and Castorneves. With 19 to go, Andretti moved to the lead. A lap later, Hunter-Reay recaptured the lead. A lap after that, Castroneves passed Andretti to move to second place. With 16 laps to go, Castroneves took the lead from RHR. A lap later, Hunter-Reay moved back to the lead. Behind him, Andretti began pestering Castroneves, allowing teammate Hunter-Reay to put a bit of room between his lead and Castroneves. With 10 laps to go, just as race officials called for a yellow for debris, Bell wobbled, lost control and slammed the wall in Turn 2. That brought out a yellow flag, and then a red, setting up the final shootout. Among the other finishers, Jacques Villeneuve, making his first start in the 500 since winning the race in1995, wound up 14th, while Kanaan finished 26th after a very long pit stop due to mechanical problems. There were 34 official lead changes, with Hunter-Reay leading a race-high 56 laps and Castoneves next with 38. Hunter-Reay’s winning speed was 186.563 mph. Point Standings: Hunter-Reay 274, Power 234, Castroneves 220, Pagenaud 211, Andretti 192, Munoz 160, Montoya 152, Bourdais 143, Dixon 132, Wilson 123.